I recently purchased the CK3000 Evolution car bluetooth hands free kit off eBay for £26, much cheaper than the retail £80. I quickly realised I needed to update the firmware on it as it was quite out of date and the latest 5.25c update from the parrot site fixes issues with Android phones. Searching online I could not find the upgrade cable for less than £29. That’s more than I paid for the actual device! Having made my own upgrade\unlock\general hacking cables for devices before I was pretty much certain the upgrade cable would just be a glorified RS232 – TTL converter which I have made in past for free from spare parts. This turned out to be the case. Making the cables is a bit laborious and I had previously spotted on ebay that you can buy a standard RS232 – TTL converter cable at a silly price. This was the perfect opportunity to give it a go. I bought the cheapest RS232 – TTL Converter on ebay from Hong Kong which only cost £1.79 ($2.91). I could barely post something to another person in the UK for that price, never mind buy the parts! The downside, unfortunately I had to wait 24 days for it to arrive argh! As I didn’t know the pinout this was definitely something to be done from the comfort of my own home rather than in the car, so I knew I’d need a 12v power supply. 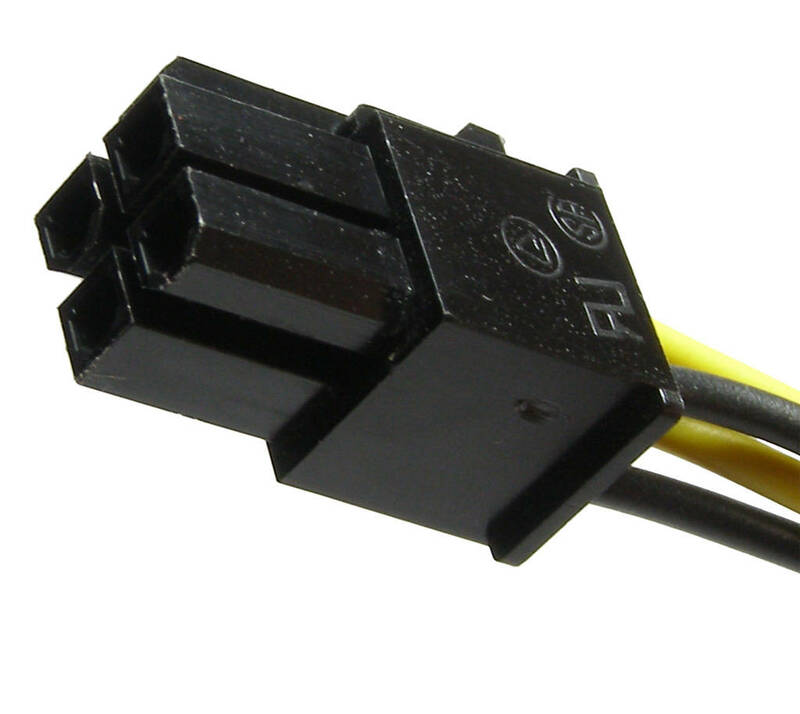 The CK3000 takes its power from a 4 pin square molex connector, exactly the same shape as an ATX motherboard power supply. I had a PC power supply which had died a few months ago so I cut this off and attached it to a 12V DC 3A power supply (the writing on the blue CK3000 control unit says it only requires 300mA so this was more than enough). Just had a thought… I didn’t check the wiring before I cut it off the PC power supply as I intended to wire it up manually, therefore I don’t know if the parrot and PC PSU 4 pin molex pinout is the same. 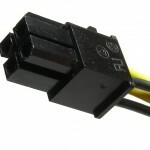 Make sure you check this if you intend to power it from a PC PSU directly. With a multimeter it was quickly worked out that pins 2,4,6 are GND; 3,7,10 +12V; 8 +5V. This only left 1,5 & 9 to be either Tx or Rx. The 5v on pin 8 was not enough to power the TTL circuit, I am not sure what it is for. Anyway to cut a long story short here is the pinout below. 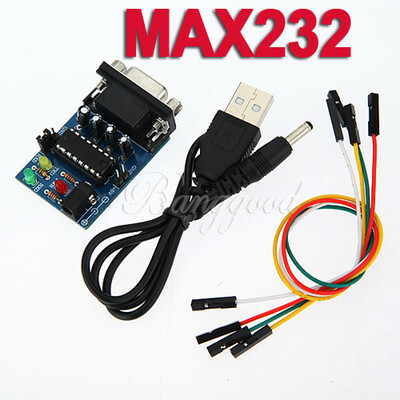 Previous cables I have made required a 5V Vcc input from the device to power the MAX232/233. Pin 8 on this device didn’t provide enough power for this, but the new TTL Converter I bought took its 5v power supply from a spare USB port. I used the spare Vcc cable to connect pins 9 & 10. The update process is fairly simple. Connect the TTL device to the blue control box but leave the device unpowered. 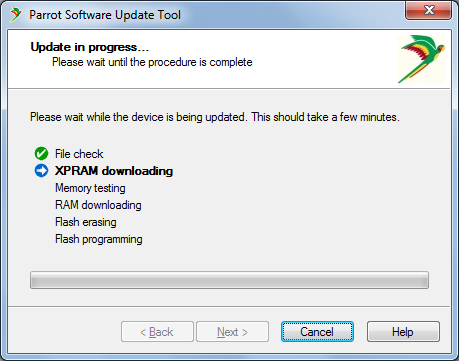 Load up the Parrot software and wait for it to say XPRAM downloading… Then connect the power and watch it go… I had lots of failed attempts and a few heart stopping moments when I thought I bricked it after it got stuck after wiping the flash. Thankfully it’s pretty resilient and it still lets you update it in this scenario after restarting the process.